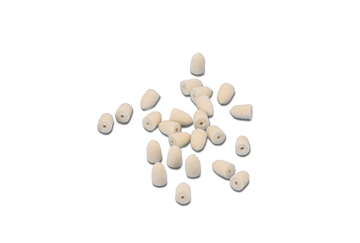 Top » Tools » Polishing » Felt Polishing Tips » Miniature Pointed Felt Cones 1/4" x 1/2"
Ideal for polishing concave surfaces on small objects. Made of solid felt with hard density. Use with tapered mandrel.